The dashboard makes use of the data collected by iPads and iPhones. manage users and security privileges. 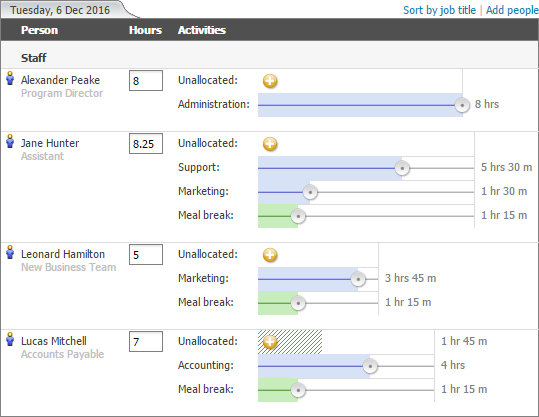 set up activities, rules and budgets for time sheets and progress reporting. The following images are extracted from the dashboard. 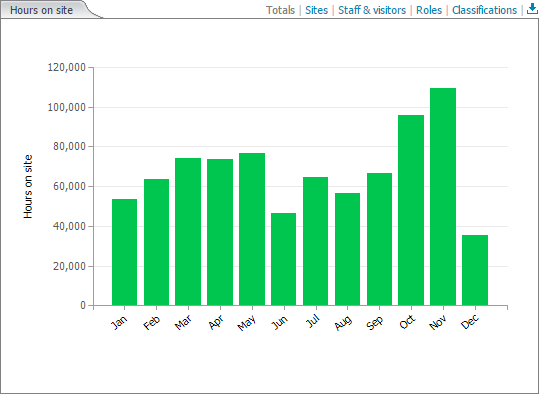 The dashboard shows a summary of people that are signed in. These images show how people are spread across different offices, their company classifications and a list of recent activity. 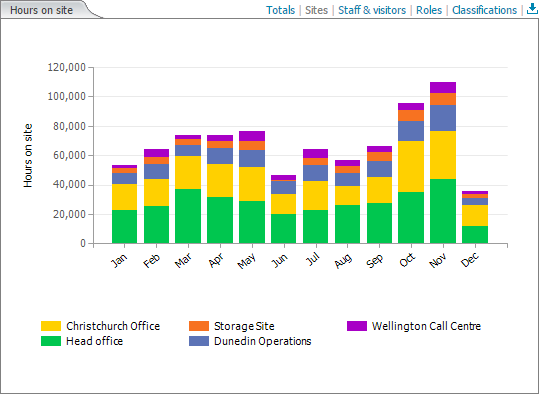 Graphs are available showing hours per day, week, month and year. Columns can be split several ways to show different perspectives. The dashboard is fully customisable. 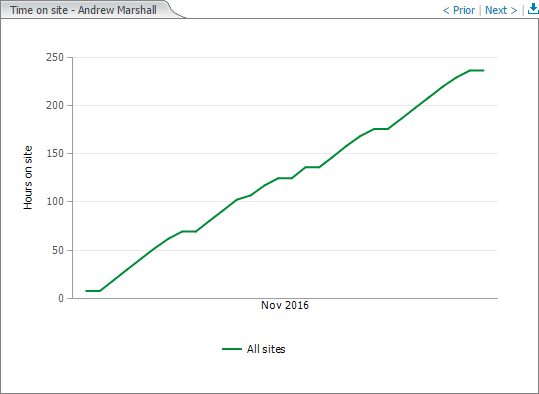 You can reposition graphs, add additional ones, choose options such as time periods and data filters. 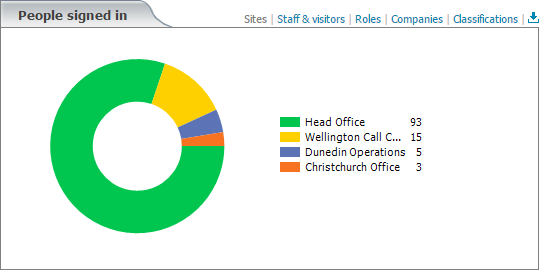 Reporting is available for individuals, companies and offices. These two images show the cumulative hours per month for a person, and a list of their attendance history over a period of days. 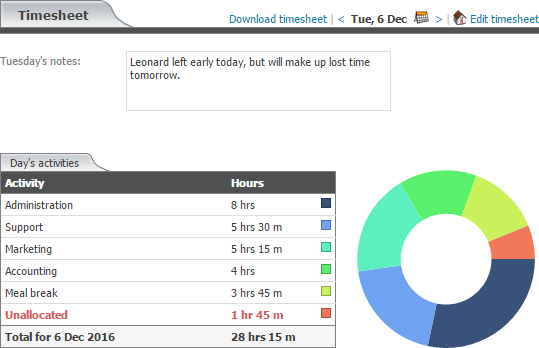 Time sheets are managed in the dashboard. 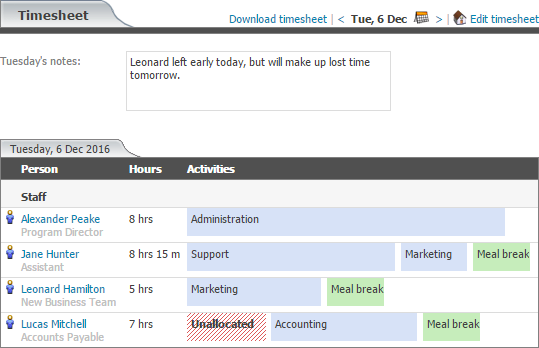 Find out how time sheets work. 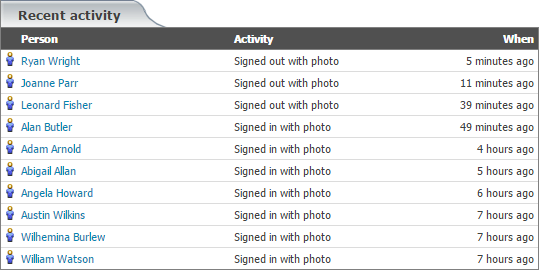 Access your Dashboard by logging in with your Attendance account. If you don't have an account yet, then sign up now for free. It's easy and only takes a couple of minutes. 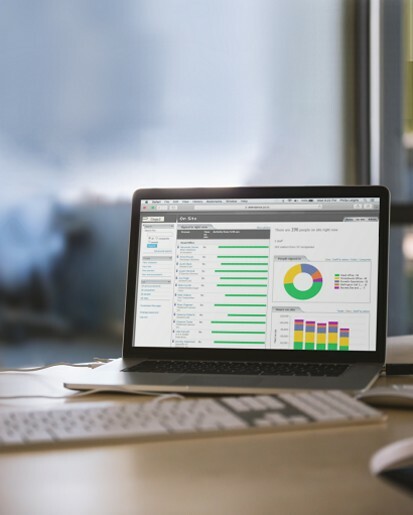 As the account holder, you can add other users to the dashboard and assign specific security rights. For example, the manager at a regional office could be given access with rights to edit time sheets for that site only. 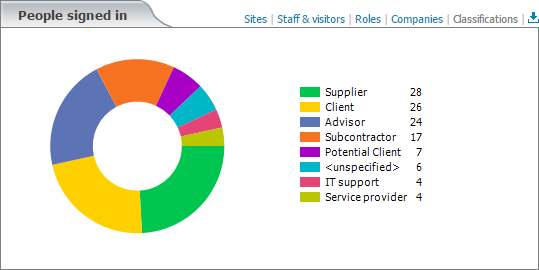 Access the Dashboard by logging in.